On Friday, WikiLeaks tweetedthat Assange would be expelled from the embassy "within 'hours to days'" and claimed that Ecuador "already has an agreement with the UK for his arrest." 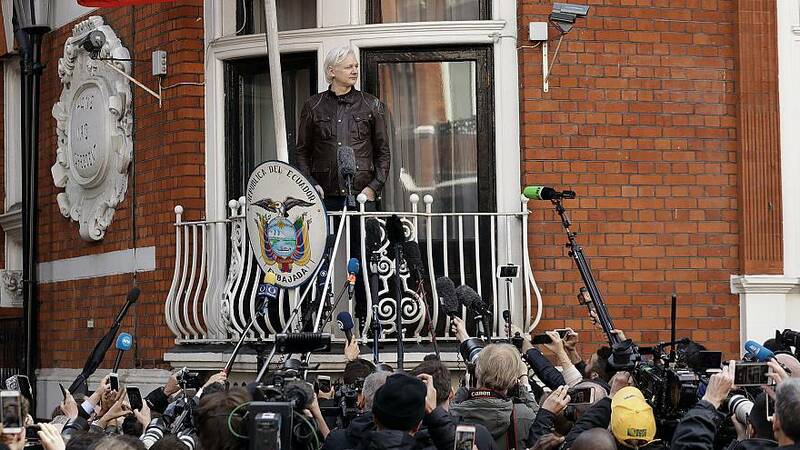 Ecuador's Ministry of Foreign Affairs said in a statementlate Friday that Assange and WikiLeaks have shown "ingratitude and disrespect" toward the country that has given him protection on its diplomatic soil by fueling rumors that he would be handed over to British authorities. The Foreign Affairs Ministry said in its statement late Friday that Ecuador had filed a complaint with the United Nations over what they called "illicit publications."